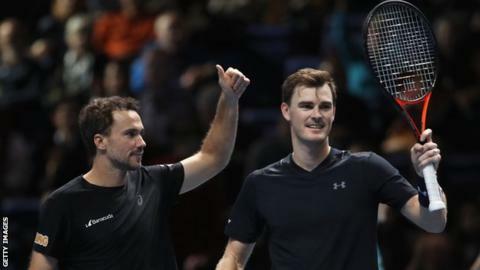 Britain's Jamie Murray and Brazil's Bruno Soares won the Washington Open doubles title. The fourth seeds beat Mike Bryan and Edouard Roger-Vasselin 3-6 6-3 10-4 in the final. It is the pair's second success this year, following the successful defence of their Acapulco crown in March. Murray, 32, and Soares, 36, have now won eight titles since they joined forces in 2016, including the Australian Open and US Open. American Bryan, 40, is ranked the number one doubles player in the world but has been playing with an array of different partners since his twin brother Bob was injured earlier this year.